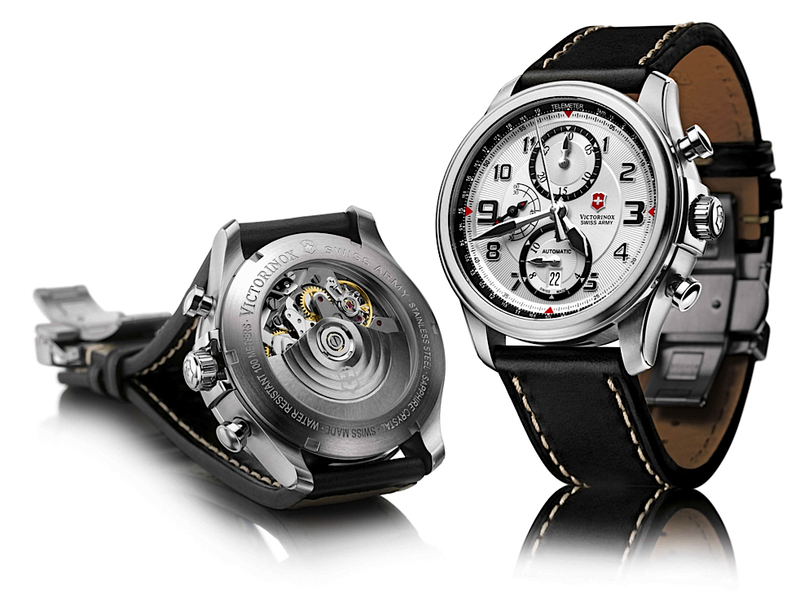 Victorinox Swiss Army has just announced plans to release three new mechanical chronographs for winter 2010, called Infantry Vintage Mechanical Chronos. All three versions are powered by the robust and accurate mechanical self-winding Valjoux 7750 chronograph movement, and all share the same 44 mm stainless 316L stainless steel case, however, the black version features a Black Ice PVD coated stainless steel 316L case (additional $200 for PVD treated version). Available in three striking styles: the “retro” dial in olive and cream with a rugged-stitched brown leather strap; a very contemporary black-and-silver dial model with subtle red and black accents and rugged-stitched black leather strap; and the striking Black Ice PVD coating on the dial, case and deployant clasp bracelet. The sapphire crystal has a triple-coated anti-reflective sapphire crystal protecting the dial. And a screw-in exhibition caseback with a shock-resistant mineral crystal on the movement side. The crown is screw-down and is protected against accidental turning. Water-resistance is 100 meters (10 ATM, 330 ft). Watch functions include: a chronograph with1/4th of a second precision timing, a central 60-second counter, a 30-minute and 12-hour counters, a date calendar at 6 o’clock, a small seconds display at 9 o’clock and a telemeter scale on the flange. 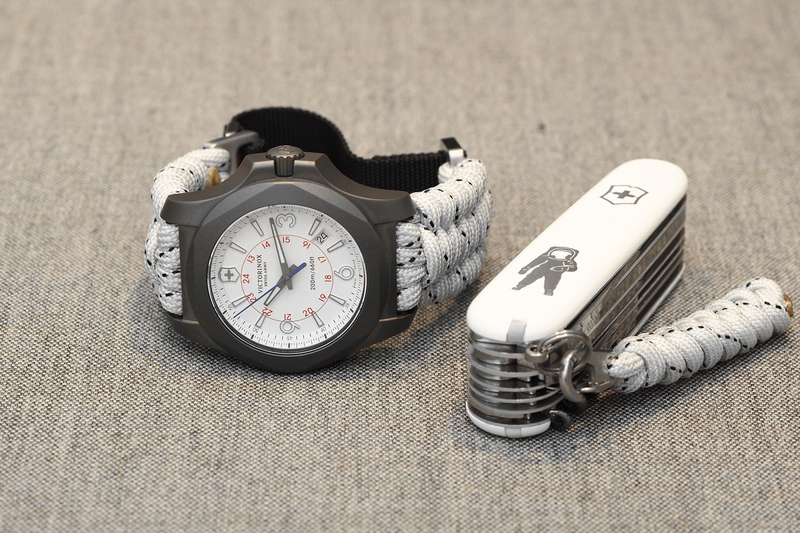 Victorinox has come out with some very interesting timepieces within the past 12-months. I especially like what they have done with the new Infantry Vintage collection (shown above), the new Maverick collection and the new Dive Master collection. 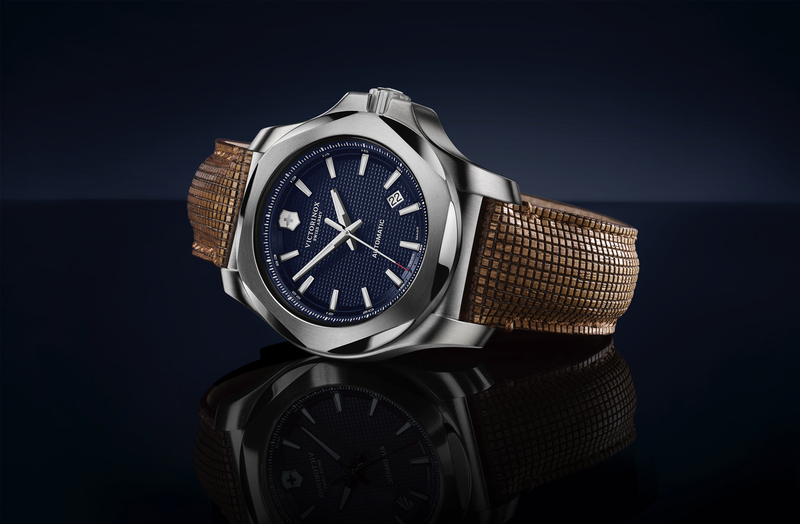 The newest Victorinox timepieces offer a quality to price ratio, that just didn’t appear to be there, even two years ago. The new Infantry Vintage collection is a great addition to the previously announced 2010 Dive Master and Maverick collections. 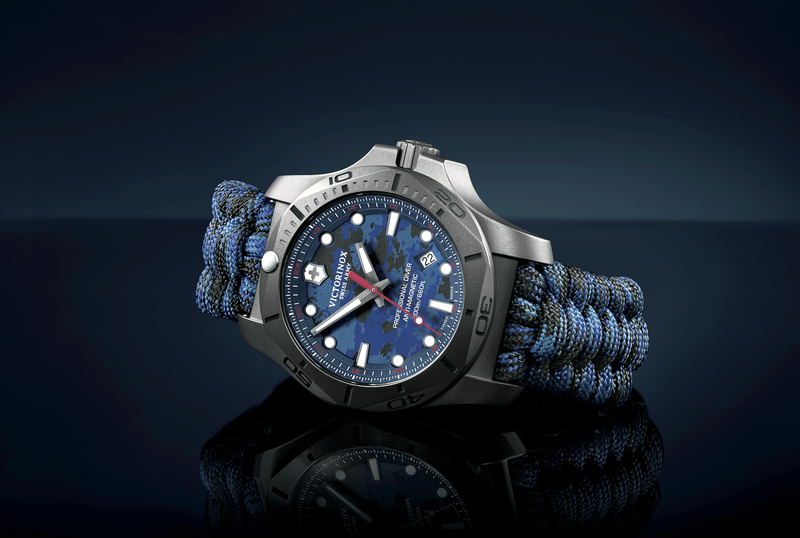 The retail price is $1695/$1895 (steel version/PVD steel).